DoubleLine Capital CEO Jeffrey Gundlach is also bullish on gold and thinks oil will fall further. “It seems we are in long-term deflation,” Gundlach says. 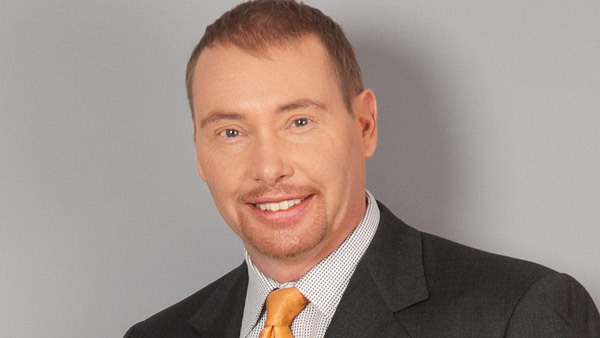 DoubleLine Capital CEO Jeffrey Gundlach is bullish on gold and bearish on oil. The fixed-income expert, who also serves as chief investment officer, also says the Federal Reserve is “philosophically” raising interest rates. “Interest rates are rising, because [the price of] oil has stabilized. And Greece is either not a [major] investor concern or may be capitulating on the bailout extension; there is less stress on the euro,” Gundlach explained. There are some tricky issues at play in the global markets, he warned, when asked about economist Gary Shilling’s prediction that oil will drop to $10-$20 per barrel. “We better hope we don’t get to $10 oil, because that means something is very, very deflationary,” Gundlach explained. He does not see oil prices dropping to that level. But he does think it will be lower than the $44 they hit in late January. “It seems to be in a bit of a rally. It could move higher but then fail” to remain at the new level, Gundlach said. Do low oil prices and low inflation mean the U.S. resembles Japan 20 years ago? “It seems we are in long-term deflation,” the investment expert replied. As for where gold is headed, Gundlach says he’s targeting the precious metal at $1,500. (It now trades at about $1,200.) “I am long gold and think there is a headwind [from the U.S. dollar], but that’s leveled off,” he stated. The dollar’s overall strength — it’s at a high point for the decade, he says — doesn’t seem to be deterring the Federal Reserve from moving toward a hike in interest rates. But lower oil prices mean further declines in capital spending within the energy sector and other negative effects on the economy. The Fed is “philosophically” raising rates, he states, “and perhaps at just the wrong time,” when the most painful impacts of low prices could be really kicking in. “It’s rare that I’m in full agreement with Larry Summers, but he says raise rates cautiously,” said Gundlach. And that’s the bond expert’s thinking today, as well.